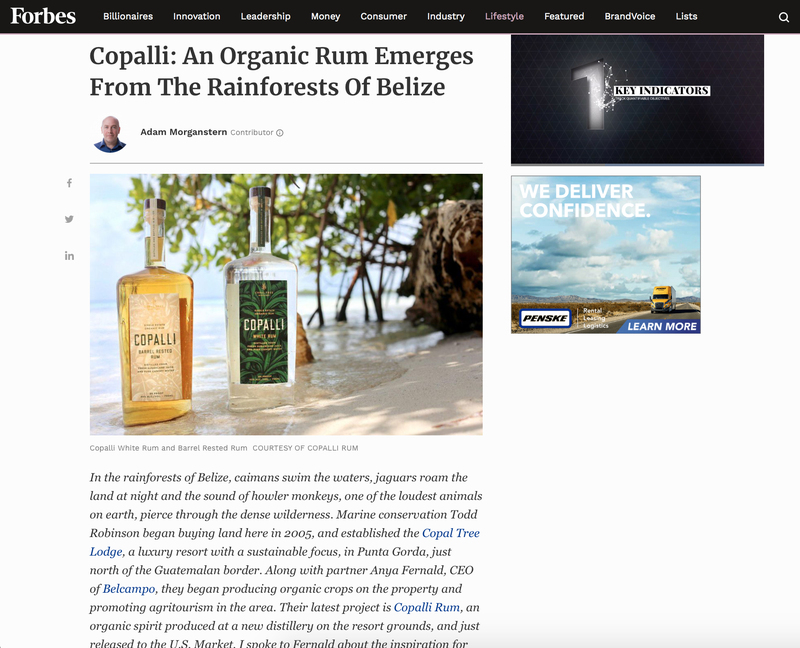 Copalli Rum is an Organic Single Estate rum made from three ingredients sourced from their own farm in the heart of the rainforest – Made in Southern Belize. Their first two products are a White Rum and a Barrel Aged rum. This photo used for an article on Forbes.com is from the promo shoot in Belize, shot Summer 2018.